Meet your local Chula Vista endodontists. Tom Massarat DDS, MS is a Diplomate of the American Board of Endodontics. Dr. Massarat received his Certificate in Endodontics from Northwestern University in 1992. 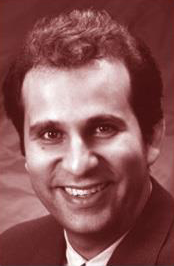 He also received his Dental Degree and Advanced General Dentistry Degree from Northwestern University in Chicago, Ill. Dr. Massarat is a member of the American Dental Association (ADA), American Association of Endodontists (AAE), San Diego County Dental Society (SDCDS) and American Board of Endodontists (ABE). He is also an advisor for the Experdent and Summit Study Groups. He has lectured extensively on many aspect of endodontics. Dr. Leah Ocampo Shen was born in the Philippines. She received a Bachelor of Science degree in Physiological Science from UCLA. 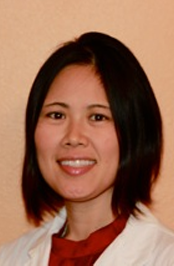 Dr. Shen then went on to receive her D.D.S from the Ostrow School of Dentistry of USC in 2005. Following her dental training, she was commissioned as an Officer in the U.S. Navy. During her active duty in the Navy, she was stationed at Naval Station San Diego, Marine Corps Air Station Miramar and Marine Corps Base Camp Pendleton. After completing her Navy tour, she pursued Endodontic specialty training at the Ostrow School of Dentistry of USC and received her Endodontic certificate.